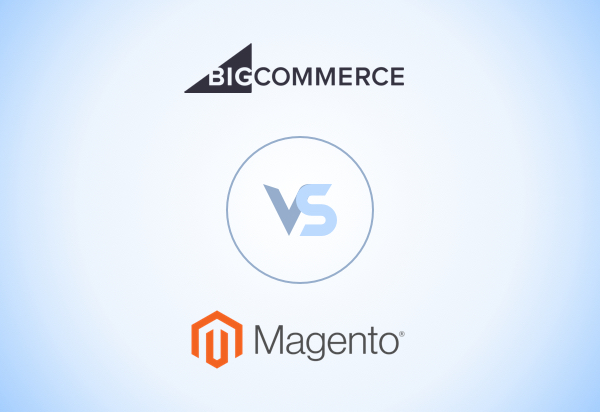 BigCommerce​ and Volusion​ are two of the biggest Ecommerce website builders around. They offer great features and excellent service with no transaction fees, but which one is the best? See how they do when put head to head. 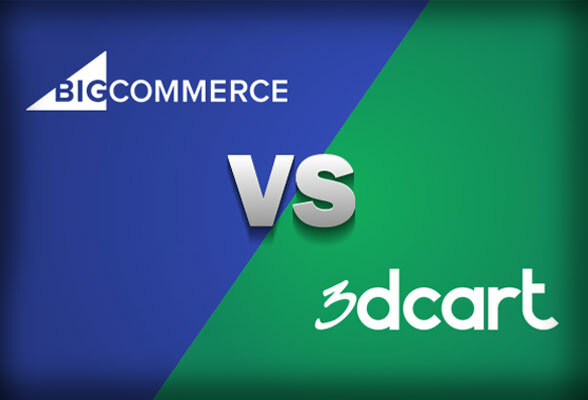 Both sites offer loads of features to create a phenomenal Ecommerce website for your customers. BigCommerce has hundreds of apps in a searchable app store, including 3rd party developed features that you can add with 1-click. They’ve also got terrific SEO tools like table-less themes, optimized URLs, sitemaps, and a blogging platform, along with marketing tools with social, email and multi-channel marketing outlets. Don’t forget analytics, multi-currency support and an auto-respond cart abandon feature that pushes them head and shoulders above the competition. Volusion has a unique affiliate program and basic CRM integration, but honestly, these can’t compare, and it has recently improved its offering with the launch of its Volusion 2 platform upgrade. This includes a new mobile app that lets users update their stores on the go from a smartphone. You can edit the look of your store, process orders, check inventory, and upload photos to your site with the app. The app will also send you push notifications if you get a new order or need to restock inventory. Volusion also added more integrations, including Paypal, Stripe, Shippo, Zapier, Amazon, Square, Xero and Yopto. 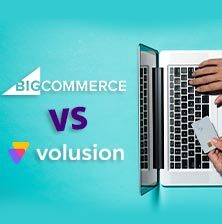 Although Volusion has closed the gap significantly with the new features offered in Volusion 2, it still cannot quite meet the wealth of features offered by BigCommerce. Volusion and BigCommerce both have beautiful free and paid design templates, but if you’re reaching for your wallet, the BigCommerce premium templates are a better investment. We’ve seen graphic designers build a site from scratch for a less hefty cost than some of the Volusion templates! However, while BigCommerce has some really professional designs for splashing the cash on, they only have 16 freebies to Volusion’s 28; making them the winners on value alone. BigCommerce has a beautifully-designed interface that’s modern, clean and effortless to navigate, and adapting your cart to incorporate features like bulk pricing or Google shopping is also a snap. If you are a coder or designer, you’ll also appreciate BigCommerce FTP access. Volusion, on the other hand, makes things oddly complicated, turning even simple tasks into a nail-biting nightmare. With its new Volusion 2 platform upgrade, the company has focused on improving ease of use for small- and medium-sized businesses. In order to make store creation and management quicker, Volusion has improved its user interface, allowing businesses to customize their storefronts in real time. In a big improvement from the previous version of the Ecommerce platform, you can now make changes to fonts, texts and products with drag-and-drop ease. 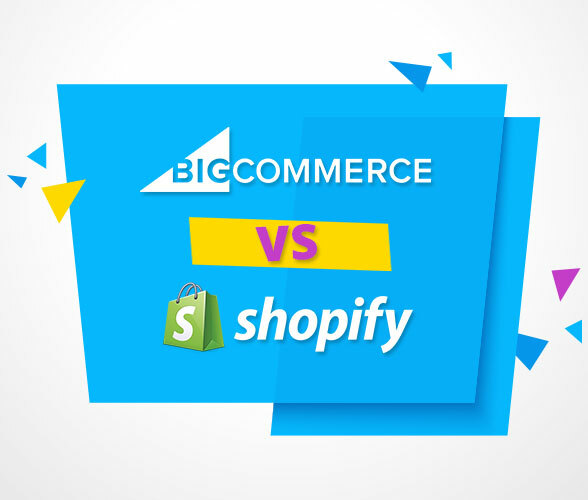 However, BigCommerce still gets the nod as the leader in intuitive Ecommerce store creation and management. Some may say that customer support is the most important factor in choosing website services. BigCommerce has 24/7 live chat and email, but limited phone support. In contrast, Volusion offers clients an array of customer support options, providing round the clock phone, email and live chat. They also have truly exhaustive video tutorials for self-help, a great plus. Don’t be fooled by the cheapest entry-level package from Volusion at $15/month, as your selling abilities will be severely limited. Also bear in mind that across all their plans, you have limited bandwidth. BigCommerce wins here, as there are no limits on any of their subscription plans, either in bandwidth, or what you can sell. 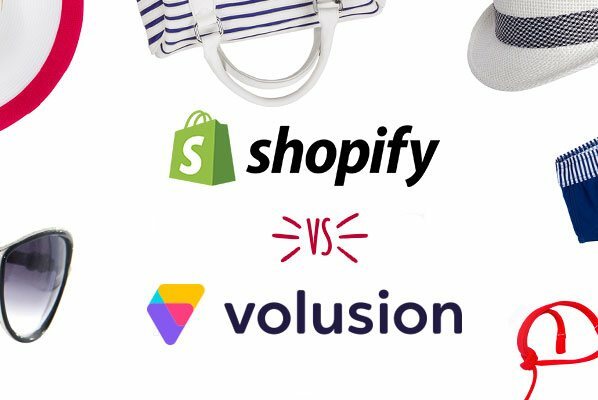 BigCommerce and Volusion are both terrific options when it comes to creating a winning online storefront. BigCommerce pulls ahead though, with their “go the extra mile” features and apps, their value for money and their across the board usability. Test drive BigCommerce today, and get your business off the ground in no time.